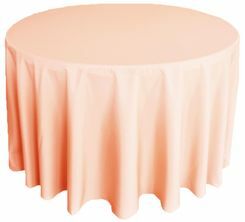 Round Polyester Tablecloths, Round Polyester Table CoversFree Shipping over $150 - US 48 Contiguous States! $9.98 Flat Rate Under $150 - US 48 Contiguous States! Wholesale Brand New seamless round polyester linen tablecloths and table cloth covers are made from a high quality 200-GSM polyester material with beautifully hemmed edges producing delicate, elegant, and classy appearance to the overall look of the tables and the venue. 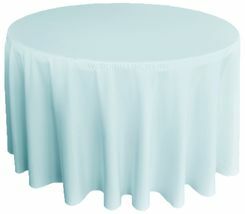 The tablecloths are high quality and durable, and each tablecloth is very heavy. 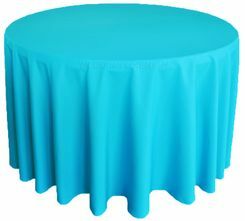 Our Round polyester table cover linens are available in 16 colors and available in four sizes, 90" round, 108" round, 120"round, 132" round polyester tablecloths. 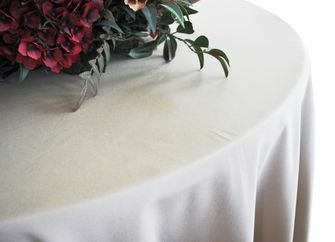 Our polyester linen table covers are perfect for wedding receptions, catering services, banquet halls, convention centers, restaurants, and hotels.